​Article type: Research article, Received: 10.12.2018, Revised: 25.02.2019, Date of Publication: 14 March 2019. 1Soil Resource Development Institute (SRDI), Ministry of Agriculture, Mrittika Bhaban, Krishi Khamar Sarak, Farmgate, Dhaka-1215, Bangladesh. 2District office, Soil Resource Development Institute, Ministry of Agriculture, Rangpur-5400, Bangladesh. Ahmed, S. and Hossain, I. (2008). 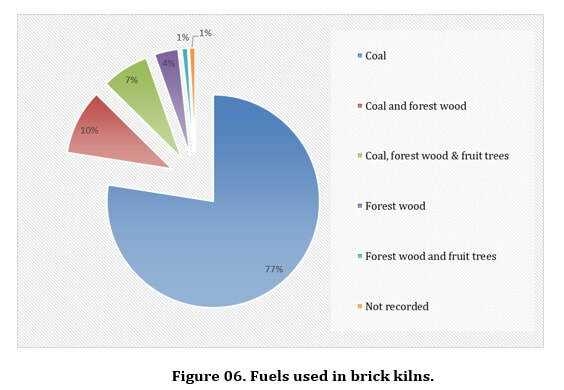 Applicability of air pollution modelling in a cluster of brickfields in Bangladesh. Department of Chemical Engineering, Bangladesh University of Engineering and Technology, Dhaka. Anon. (2018). Brick kilns polluting air, destroying farmland. Retrieved 17 February 2019 from https://www.thedailystar.net/backpage/brick-kilns-polluting-air-destroying-farmland-1519093. Anon. (2017). Technical assistance for brick kiln financing in Bangladesh. Retrieved 24 January 2019 from http://www.ccacoalition.org/en/activity/technical-assistance-brick-kiln-financing-bangladesh. Anon. (2016). Brick kiln rules breach adding to pollution. Retrieved 17 February 2019 from https://www.thedailystar.net/city/brick-kiln-rules-breach-adding-pollution-199639. BBS (2015). Bangladesh Statistics 2017, Bangladesh bureau of statistics, Dhaka. Retrieved 24 January 2018 from http://bbs.portal.gov.bd/sites/default/files/files/bbs.portal.gov.bd/page/a1d32f13_8553_44f1_92e6_8ff80a4ff82e/Bangladesh%20%20Statistics-2017.pdf. Begum, B. A. Biswas S. K. and Hopke, P. K. (2010). Key issues in controlling air pollutants in Dhaka, Bangladesh. Atmospheric Environment. In press. BUET (Bangladesh University of Engineering and Technology) (2007). Small study on air quality of impacts of the North Dhaka brickfield cluster by modeling of emissions and suggestions for mitigation measures including financing models. Prepared by the Chemical Engineering Department, BUET, Dhaka, Bangladesh. Dailymail (2013). Daily Mail Australia news. Retrieved 05 March 2019 from http://www.dailymail.co.uk/news/article-2396250/Bangladesh-brick-factories--Millions-workers-face-harsh-conditions). FRG (Fertilizer Recommendation Guide) (2005) and (2012). Fertilizer Recommendation Guide, Bangladesh Agriculture Research Council (BARC), Farmgate, Dhaka 1215. Hossain, M. A. and Shoaib, J. U. (2005). Determination of Physico-Chemical properties of Soil to assess the effects of Brick Field on Agriculture. 2005 (Project Completion Report submitted to BARC as partial fund was provided by BARC). Hasan (2016). 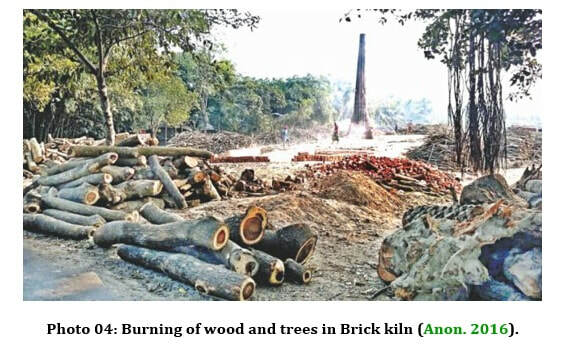 Retrieved from http://www.thedailystar.net/city/brick-kiln-rules-breach-adding-pollution. Hasan, M. N., Hossain, M. S., Bari, M. A. and Islam, M. R. (2013). Agricultural land availability in Bangladesh. SRDI (Soil Resource Development Institute), Dhaka, Bangladesh. p.42. MoEF (Ministry of Environment and Forests) (1996). Notification on Emission Standards for Brick Kilns. New Delhi. April 3rd 1996. MoI (2010). Ministry of Industries. National Industrial Policy. Government of the People’s Republic of Bangladesh. Naqvi, S.A. M. H. (Ed.) 2004. Diseases of fruits and vegetables, Vol. 1, Kluwer Academic Publisher, p. 575- 579. Siddique, M. N. A. Islam, M. M. Sultana, J. Kamaruzzaman, M. and Halim, M. A. (2014). Potential of soil sensor EM38 measurements for soil fertility mapping in the Terrace soil of Bangladesh. Journal of Science, Technology and Environment Informatics 01(01), 1–15. The daily Star (2016). Brick kiln rules breach adding to pollution. (The daily Star 12:00 AM, January 10, 2016 / LAST MODIFIED: 03:21 AM, January 10, 2016). UNDP (2011). Eco-friendly brick technique helps build a cleaner Bangladesh. Available online at http://www.beta.undp.org/undp/en/home/presscenter/articles/2011/06/20/ecofriendly-brick-technique-helps-build-a- cleaner-bangladesh.html. UNDP–GEF (United Nations Development Programme–Global Environment Facility). 2006. 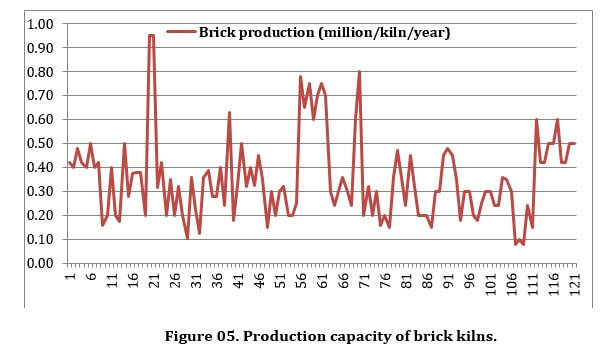 Improving Kiln Efficiency for the Brick Making Industries in Bangladesh: Project Fact Sheet - PDF B Phase (UNDPGEF-BGD/04/014, 2005). UNDP/GEF. p. 2. World Bank (2005). Islamic Republic of Iran. Cost Assessment of Environmental Degradation. Sector Note Report No. 32043-IR. June 30. Rural Development, Water and Environment Department, Middle East and North Africa Region. World Bank. Washington DC.